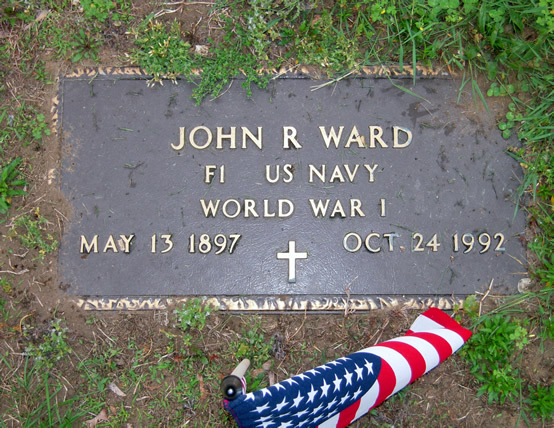 John R. Ward served in the U.S. Navy during World War I and died at the very old age of 95. John R. Ward was not on the Original Honor Roll List, which was in the paper in October of 1918, but there was seven people with the last name Ward and one was John L. Ward. I do not know at the present time any connection, if any, John R. Ward may have with any of the Ward’s named. This grave marker confirms John R. Ward’s connection to Hackensack by being buried within its borders since passing and forevermore. Your grave marker also confirms your service for which we are grateful.